These cookies are just yummy. These cookies are also good for you, or at least better for you than regular cookies made with shortening or even butter. Coconut oil is my favorite oil to cook with. It has many many benefits to your health and I love the flavor of it. Make sure your coconut oil is Virgin Coconut Oil and having it be organic is even better. I have tried this recipe (from welltravedlwife.com) I pinned and I love it. My family also likes them. and coconut extract for the vanilla. 1. Preheat oven to 375 degrees F. Spray a cookie sheet with non-stick cooking spray. 2. In a mixing bowl, use a mixer to beat the coconut oil and brown sugar. Add in the eggs and beat until fluffy. Add in the vanilla extract. 3. In another bowl, combine the flour, baking soda, salt and baking powder with whisk. Mix the flour mixture into the coconut oil mixture a little bit at a time with a wooden spoon (I used a mixer) until all the flour is incorporated. 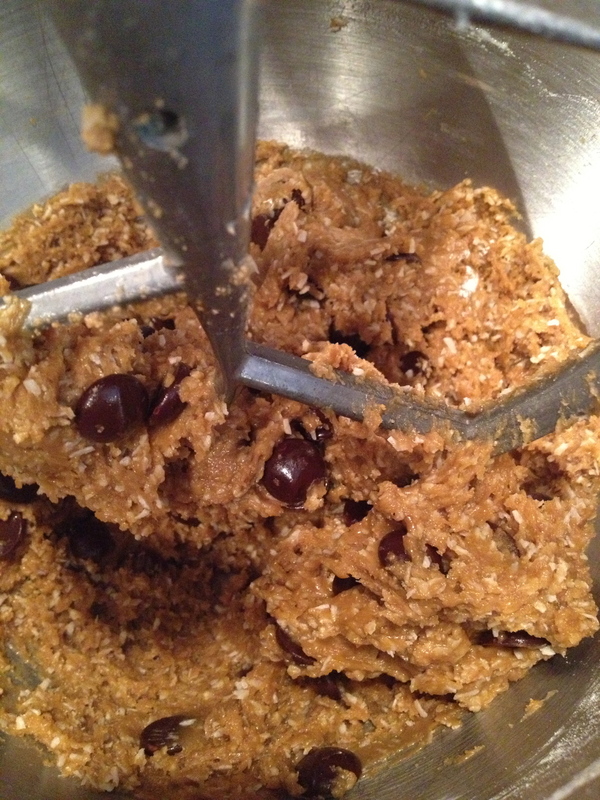 Add in the chocolate chips+coconut and mix well. 4. Drop by small rounded spoons onto prepared baking sheets. Bake for about 8-9 minutes or until slightly browned around the edges. They will be really soft and chewy, with a slightly crispy edge. 5. Let them rest on the cookie sheet for a few minutes before removing to rack to cool completely.